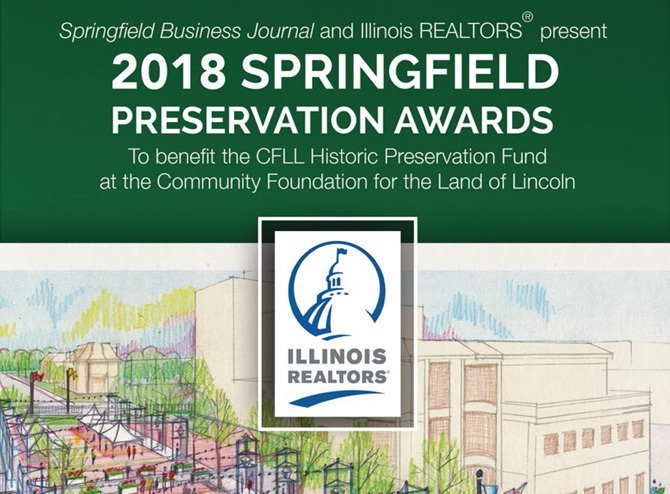 A part of the Springfield community since before Lindbergh flew to Paris, the Community Foundation for the Land of Lincoln is riding a wave of unprecedented, higher profile growth under its new management and name. “When I was hired in 2003, we had one charitable fund and under a million dollars in total assets, and today we have about 140 separate funds that we administer and total asset levels are approaching $21 million. We have unrestricted funds, where we can grant out money for anything approved by the board.” Other services include “field of interest” funds such as historic preservation funds. Most recently they helped the Springfield Art Association restore a room at the Edwards Place. Other donors may establish funds for specific charitable organizations. “Most of our assets are either permanently endowed where the earnings from the funds go up or they have a long-term goal. Not all of our funds are completely endowed. But if you want to put a thousand dollars in and have a thousand dollars go out, this is not the way to go. You can just write a check to the charity.” For those looking for a long-term, more organized approach to charitable giving, a community foundation can be a good option. “We work with a lot of living charitable givers who might put in $10,000 to give away $2,000 the first year, and periodically contribute more to the fund and over time increase the annual gift,” Stremsterfer explained. Donor-advised funds require a living donor and after their death, family members can be engaged as living donors or it can convert to a field of interest fund or a scholarship if the family does not want to be involved with the grant making. “We stay in contact with area charities to understand where the needs are and regularly report to fund sponsors about the status and progress of their giving,” Strensterfer said.